The laboratory has a number of state-of-the-art facilities. 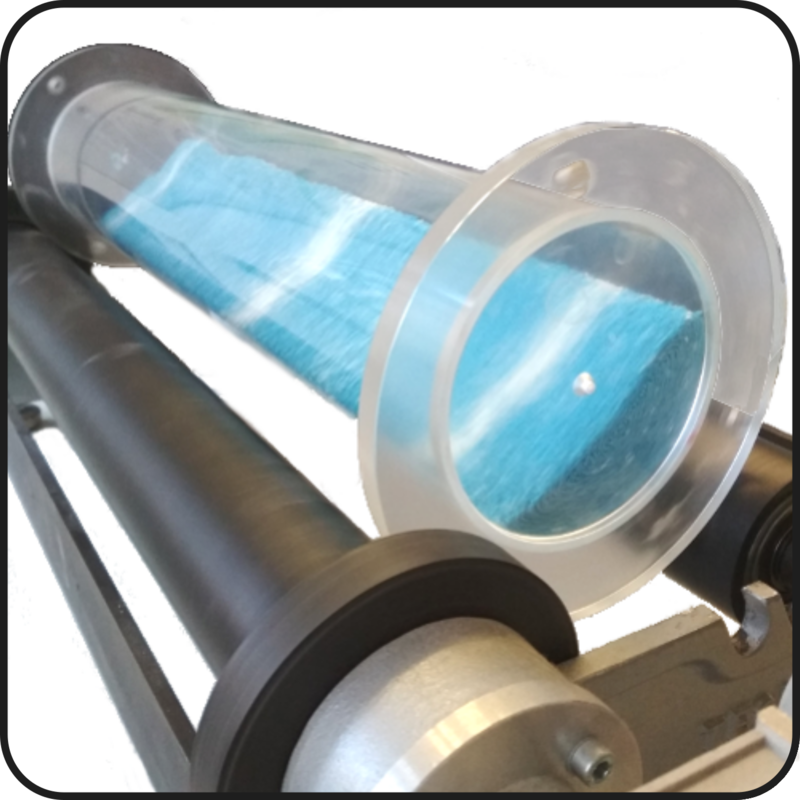 The main part of Brookfield Powder Flow Tester is an annular cell, where the powder specimen is placed. A grid on the bottom of the cell and a series of vanes on the on the lid prevent powder slipping against the cell boundaries during shearing. The lid is subjected to a vertically acting normal force in order to attain the desired compression level. The normal load is applied by a loading system, which also contains a displacement transducer to measure the lid displacement during shearing in order to capture volumetric changes occurring in the assembly. The shear stress acting on the assembly is continuously monitored. The volume of the cell is as little as 230 ml. Tex’An Drive, designed and developped for a quick and complete texture analysis of the consistency, elasticity and adhesivity of solid and liquid samples and customized test on powders. The Tex’An Drive texture analyzer owns performances and flexibility of a R&D instrument, and answer to the quality control laboratories. 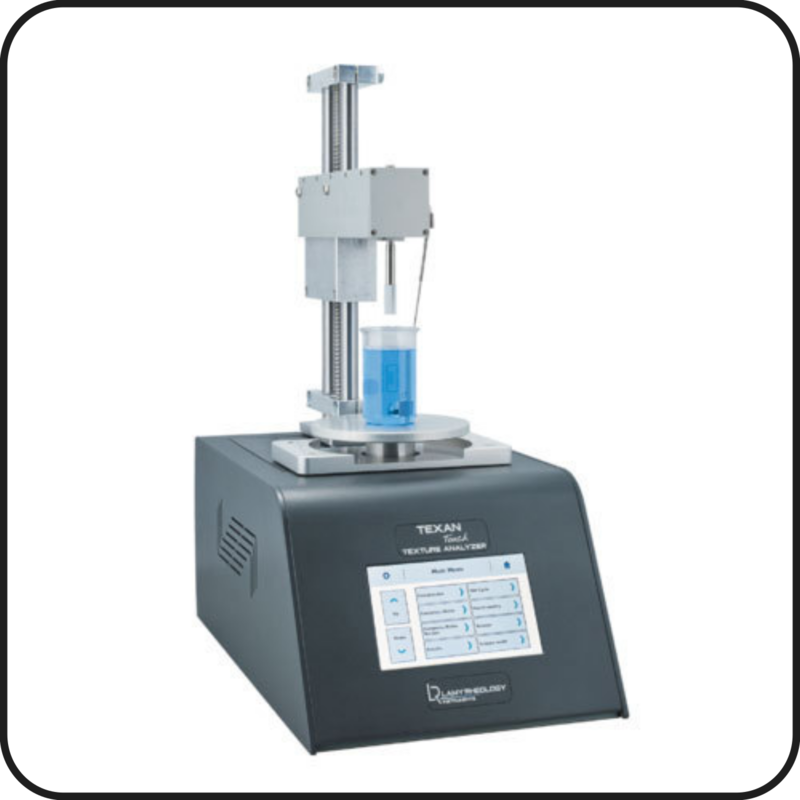 It can operate in Compression and Traction; Sensor: 20 N (2 kg), Resolution 0.008 N (0.8 g) ; Temperature: The Tex’An Drive has a Pt100 sensor to measure your sample’s temperature from -20 to 120 °C. 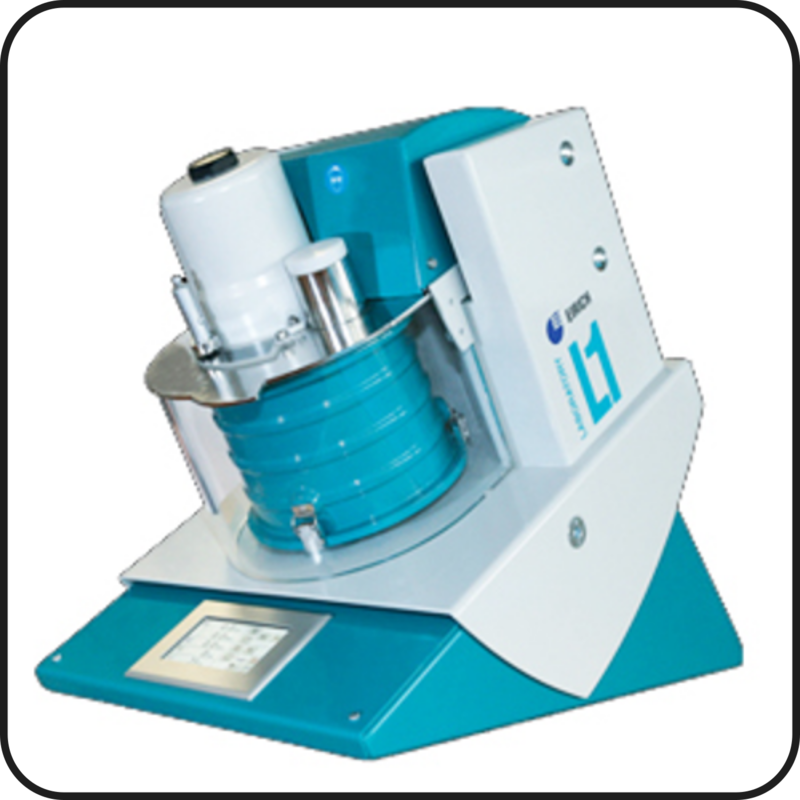 The Eirich EL1 is a multi-purpose laboratory mixer. It mount a star-type rotor or pin-type rotor with infinitely variable tool speeds from 2 up to 30 m/s (300 up to 7200 rpm) and 2 directions of rotation. 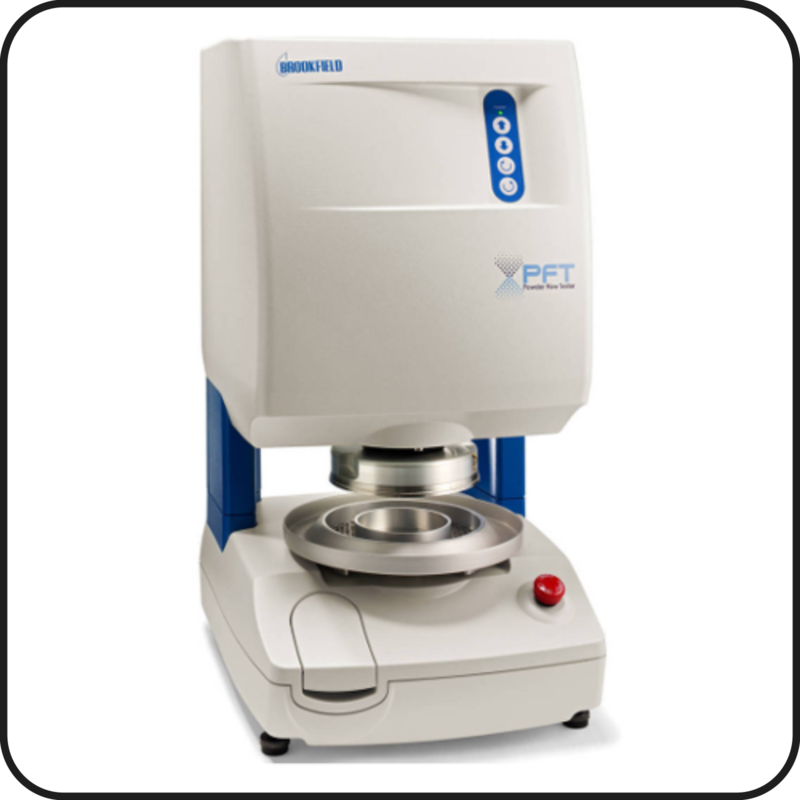 Mixing pan is low weight, easy changing / cleaning, ideal for small test samples (low material costs) and has an adjustable inclination (0°- 30°). It is possible to monitor and save data (time, impeller velocity, motor current consumption and bulk material temperature) during experiments on a USB memory. 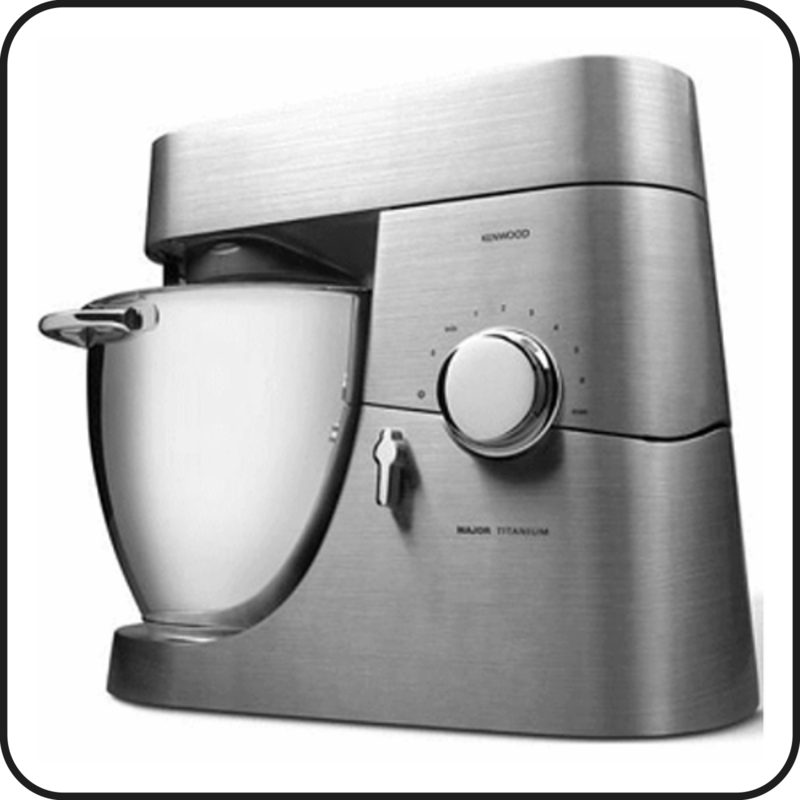 The Kenwood Major Premier KMM 760 is a robust planetary mixer with a 1200W motor, three power outlets and huge choice of attachments which allow to process complex ingredients mixtures. It is versatile because the open structure allows to observe the evolution of mixing and granulation products, to capture and analyse images of the powders, to perform kinetics studies (in mixing and in granule growth rate studies). Bowl size is 6.7 liters and beater speed ranges from 27 to 97 rpm. The mixer consist of an horizontal drum, a drum drive and rotational speed control unit. The drum typically consist of a transparent cylindrical container closed by transparent end plates so that images of the cross section of the material bed can be taken by using recording digital devices. The driving system consists of two rubber covered rollers one of which is connected to a 2.5kW motor. Roller velocity is controlled (with resolution of 0.157 rpm) through a gear-motor and an inverter. Several mixing regimes can be explored. The same driving unit used for mixing experiments can be used to rotate a jar containing different milling medium so that a ball mill (or jar mill) is obtained. 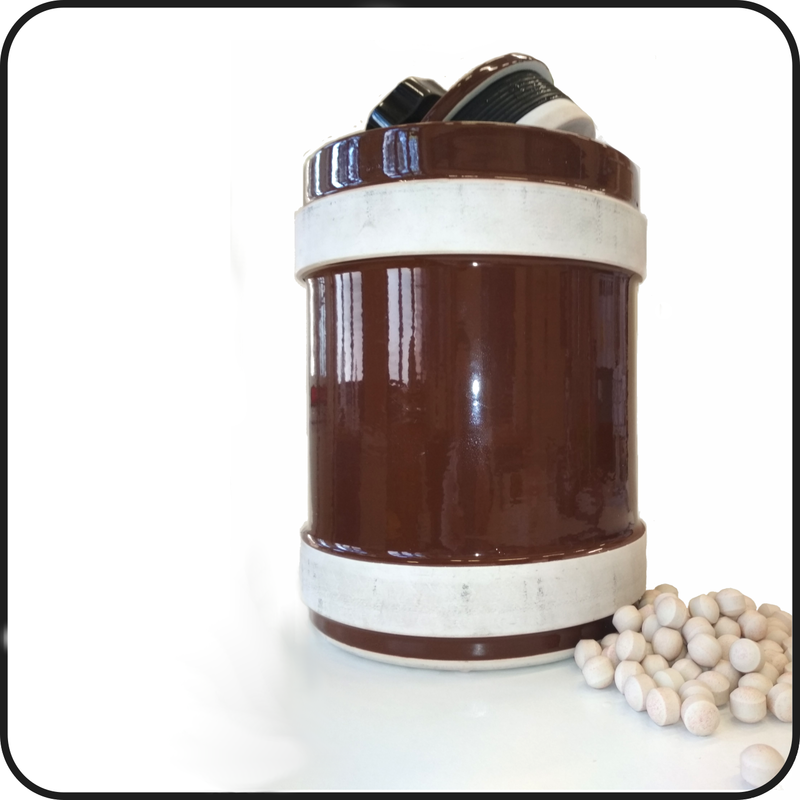 It has rollers covered in rubber and the second roller can be placed in various positions so as to accept different size jars. Model with 0.5 hp motor. Variable roller speed: 0-95 rpm. A 3 liters porcelain jar is available with different milling media ranging from 3 to 25 mm in size. Permy-0.1 is an air permeameter. 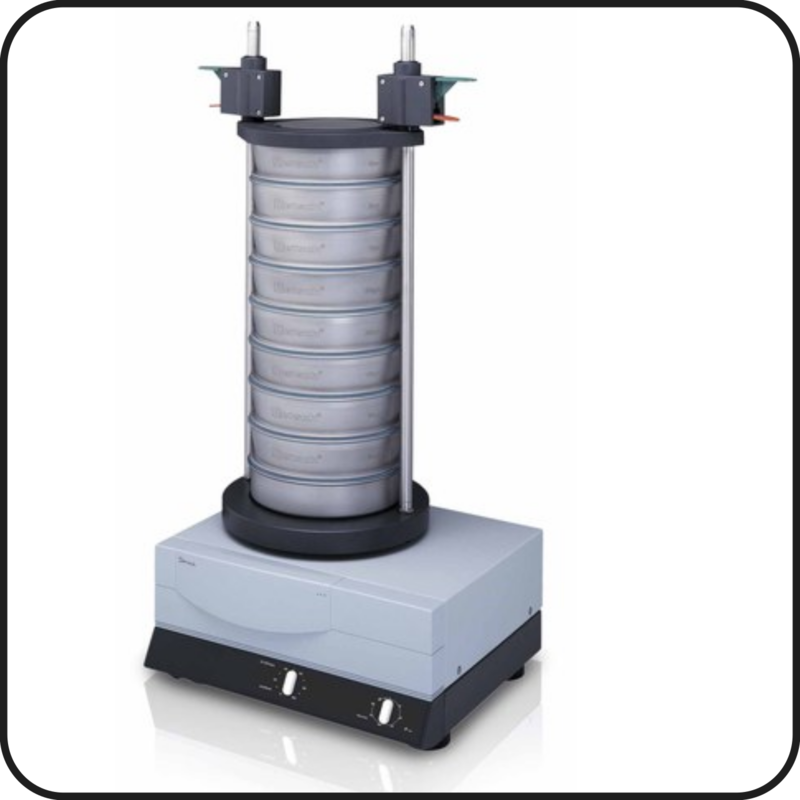 It consists of a 150 cc chamber with a perforated bottom containing the powder sample. The powder bed is crossed from below by the air with flow rates varying between 0.1 and 10 l / min measured by 3 rotameters. 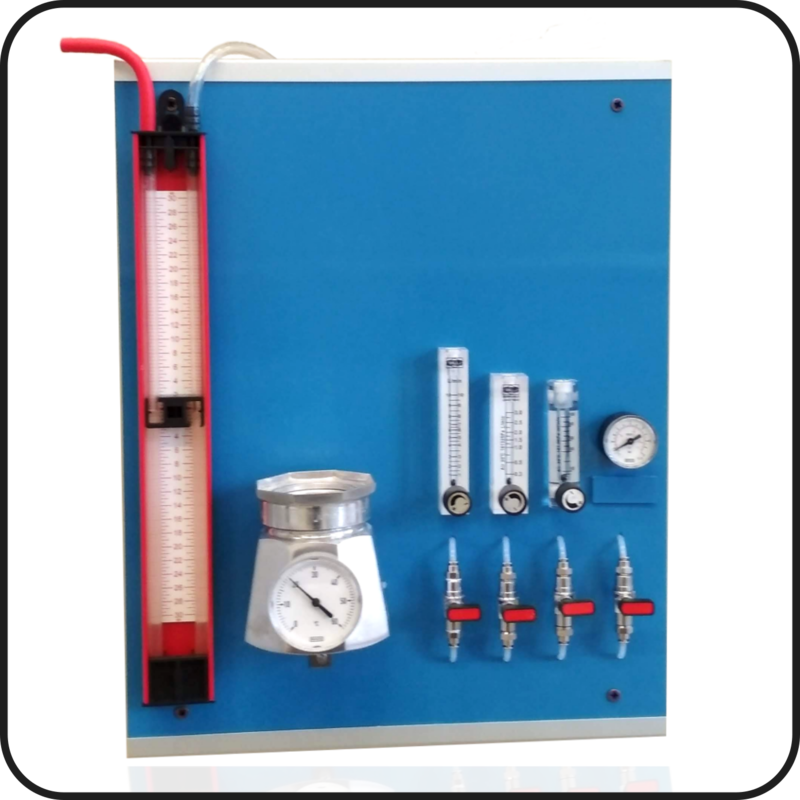 Pressure drops can be measured through a U tube manometer and range from 0 to 294 Pa (30mm H20). The Retsch AS 200 digit is an analytical sieve shaker AS 200 designed for sieves with a diameter up to 203 mm (8”). 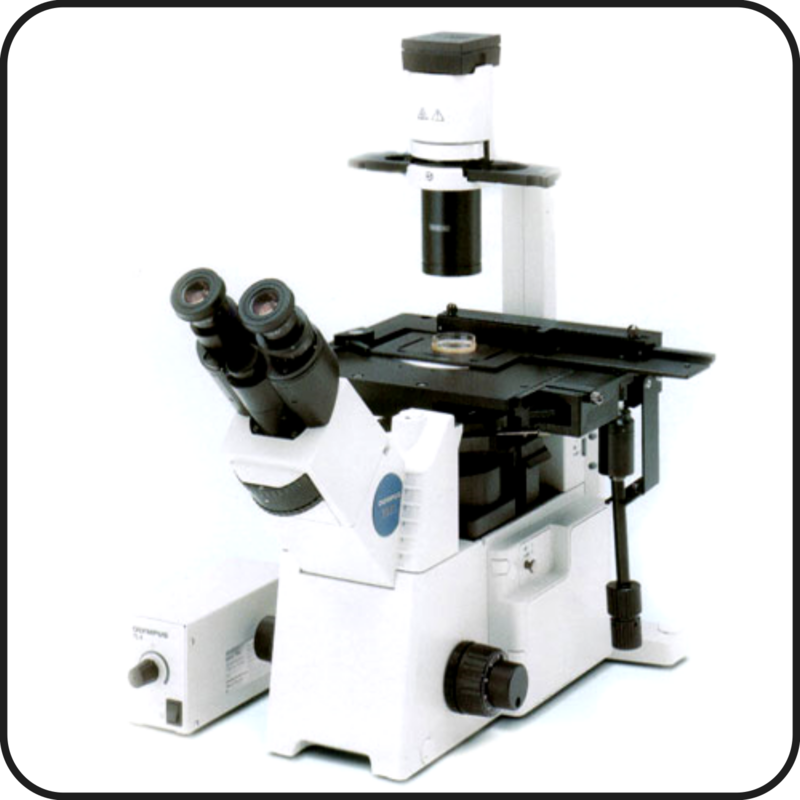 It covers a measuring range from 20 μm to 25 mm. Instead of the vibration height, the sieve acceleration, which is independent of the power frequency, can be set so that, comparable and reproducible sieving results world-wide are guaranteed. Presently only dry sieving can be performed, but the sieve shaker can be upgraded to perform also wet sieving. Several digital cameras (CCD and CMOS) are available for capturing digital images for solving several research problems. Image analysis, particle imaging velocimetry (PIV), single particle tracking, colour and texture analysis are common research strategies implemented through customized Matlab and Phyton scripts. 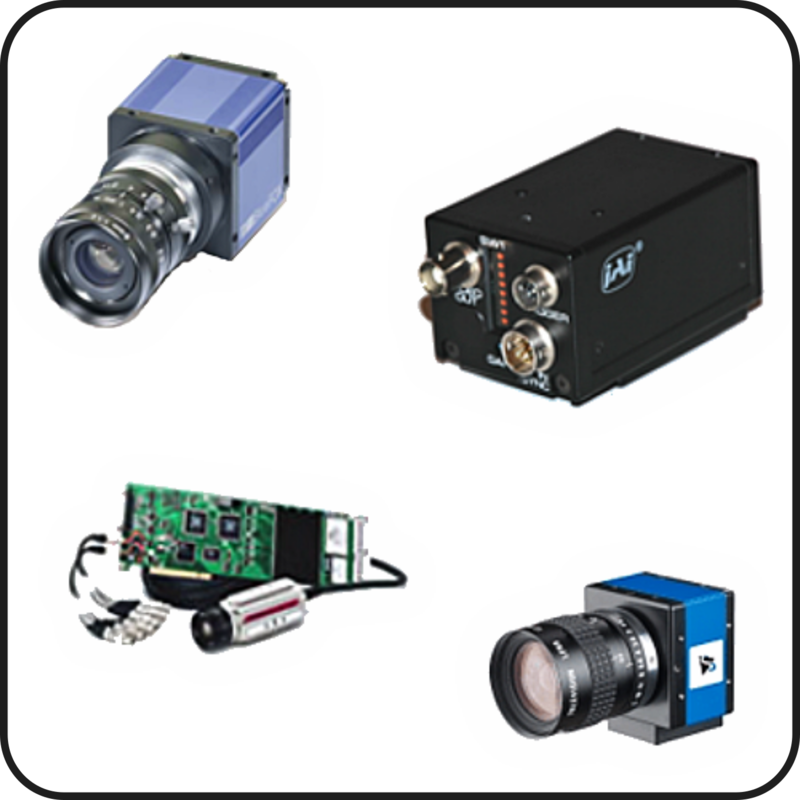 Here a list of the cameras currently in use: Matrix Vision, Jai, Matrox, Photron (1000 fps). Inverted microscope, Olympus IX51. 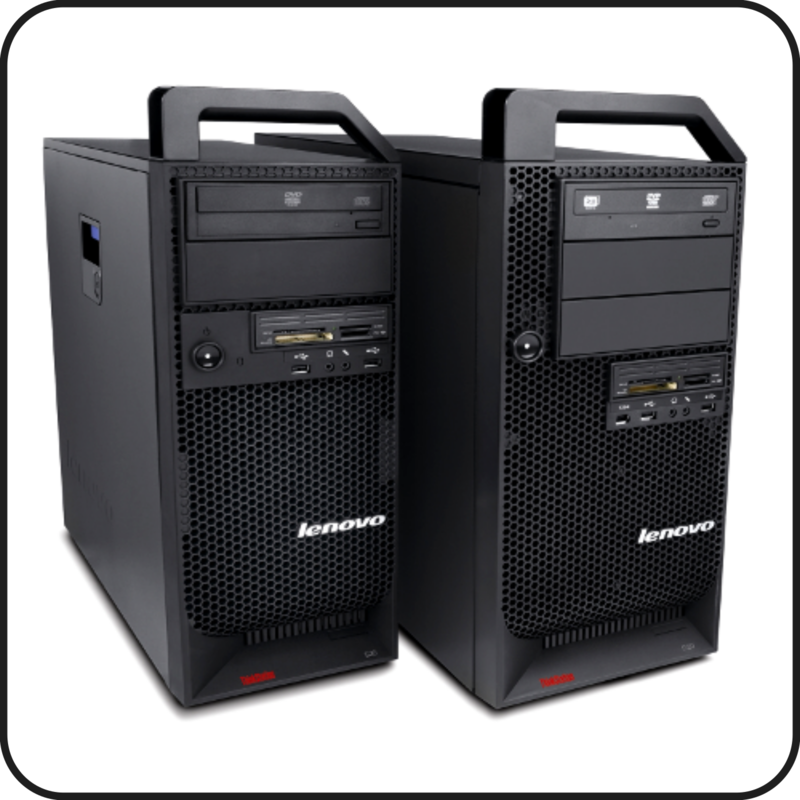 Stand high stability stand, vibration-free positioning of the controls. Infinity corrected optical system UIS, with path “V” path which allows the maximum reflection. Illumination with halogen lamp 6V 30W. External power supply. Bilateral coarse and fine focusing with a 1 sensitivity micron and locking device. Rotating revolver with six positions. A serial output for photographic systems or TV. Video outputs for obtaining primary image. Further facilities and skills are available in the laboratories of the other GrG members. Here there is a partial list. For more information contact each research group.